How are your networking skills? But really, how are they? You may think you’re hitting it out of the park at every networking event you attend, but you could really be undermining your efforts. If you’re doing any or all of these 7 things, it’s time to change your networking style. The conversation went well. You see a potentially mutually beneficial relationship in the works. So you pull a gum wrapper out of your pocket and start jotting down your information. Big NO. Invest in yourself and your business contact; and get some business cards before you hit this point. Show that you believe that both your contact and yourself are worth the effort. This can apply whether you’re meeting in person or online. If you’re at a networking event, then everyone else is there to, yes, you guessed it, network. You’re not the only one looking for advice or information. Be considerate of not only those around you but also the person you’re talking to. When you connect online, be aware that their life doesn’t revolve around meeting you. They have a life and a job, let them live it. If you’re waiting to establish contacts until you need them, then it’s too late. By the time you need them badly, you don’t have the time to get quality ones. Plus, you’ll come off as desperate, a quality you don’t want to be exhibiting. Start building your network now, so that when you need them, you’ll be able to access those people immediately. If you’re at an event where you know you have the potential to connect with people and make good contacts, dress accordingly. If it’s a casual affair, be clean, tidy and sharp. Just because a picnic is involved doesn’t mean you should break out the stained t-shirt and holey jeans. This could be the conversation that lands you the job you’ve been waiting for. Treat the opportunity accordingly. Know what you need and how to get it. Don’t bumble and fumble your way through conversations because you’re not really sure what you want. Additionally, do your research. 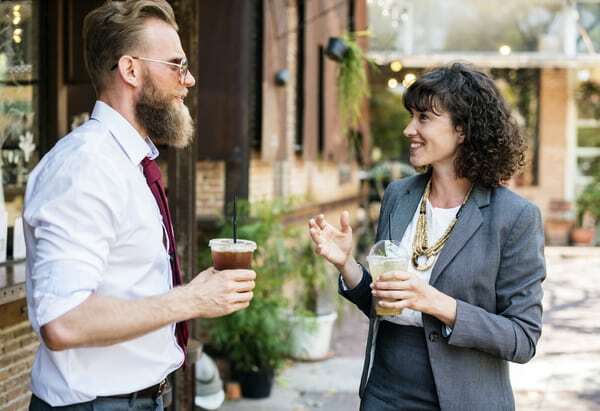 Know the individuals who are coming and how they like to connect with people. Do your research and be prepared to show your intelligence. You may tell yourself that you would never do this, but many people never actually follow up on contacts. Whether they think they don’t need the contact or they get paralyzed by ‘what-ifs’, this is a huge mistake. You went to all the trouble of meeting the person, putting yourself out there, and maybe even getting an offer of help. Even if you only had a good conversation, follow up by email or phone and let them know you appreciate the conversation and their time. This will also help them to remember you longer than a week. This can be accompanied in your follow up, and should definitely be present when you and the other person part ways. Thanking someone for their time is a standard courtesy that many people forget. Rise above the crowd and send a thank-you along with your follow-up. Let them know that you really did appreciate their time because it is valuable. If you avoid these 7 networking mistakes, you’ll have stronger, better network relationships. Evaluate your networking abilities right now. Is there anything you need to change? If so, do it! It’s never too late to start networking like a pro.